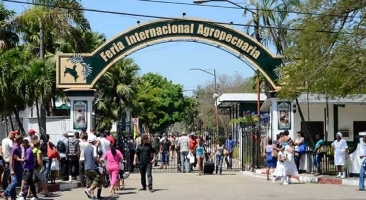 Cuba offers business opportunities in Agroindustrial FaiMore than 70 companies, of which 26 are foreign, will participate in the XVIII Fair Agro Food, FIAGROP 2015, based this month in Havana.Adolfo Aroche, director of Enterprise Trade Agriculture, said that this year’s meeting will be higher than in previous years because there is more preparation, and this influences, he said, presenting visitors to the business portfolio for foreign investment Cuba. The also deputy director of FIAGROP 2015 Organizing Committee, said in addition to the trade fair will be held in the Rancho Boyeros, rodeo competitions and coleus, judging animals and specialized conferences. A new feature of the event is its character expo-sale as producers and Cuban companies can offer their products to the population.